Did you know traditional home remodeling adds a significant amount of waste to landfills? According to the National Association of the Remodeling Industry (NARI), a home remodeling project can generate between 70 and 115 lbs. of waste per square foot! New home constructions only generate 3 to 5 lbs. of construction waste per square foot. Given those statistics, remodeling alternatives are an absolute necessity. 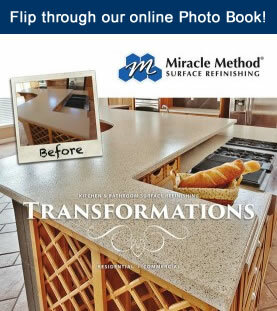 Miracle Method Surface Refinishing has provided a Green Home Remodeling Alternative for 32 years now. When a Miracle Method Surface Refinishing technician refinishes an existing tub, tile surround, bathroom vanity, or kitchen countertop, you can avoid contributing hundreds of pounds of waste to landfills. 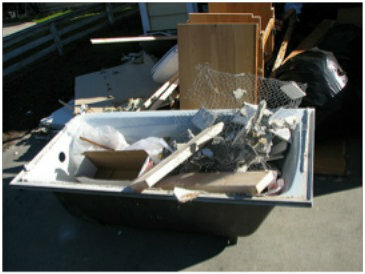 A tub that's headed to a landfill. Notice the difference refinishing can make! No need to send a beauty like this to a landfill! Chuck Pistor, President of Miracle Method Surface Refinishing, uses a simple math equation to demonstrate the impact surface refinishing can have. 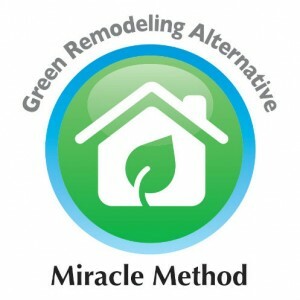 “Miracle Method offices refinished about $30,000,000 in bathtubs, tile, showers, and countertops in 2011. For easy calculations, assume all of these jobs were exclusively bathtubs. 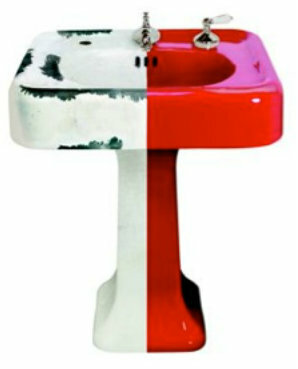 Using an average refinishing price of $475 for each bathtub, that equates to 63,158 bathtubs. 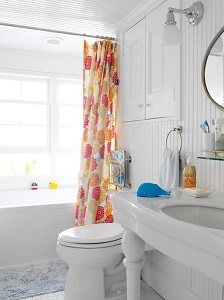 With an average bathtub measuring 5.5′ wide by 2′ tall by 2.5′ deep that’s 27.50 cubic feet per tub. With a bit of planning, homeowners should be able to get a bathroom and kitchen makeover look they want by refinishing instead of wasteful replacement. “They’ll even save up to 75% over replacement costs while contributing to a better environment,” says Pistor. According to Pistor, worn out porcelain, steel, and even fiberglass bathtubs do not need to be replaced just because they are no longer easy to clean or because they are the wrong color. Quality surface refinishing can add up to 15 years of life to bathtubs, tile, and countertops. 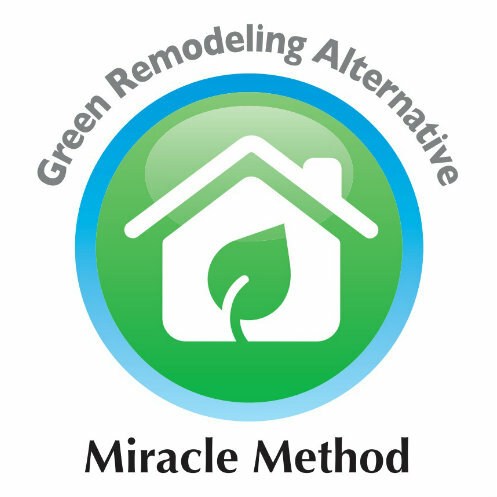 With 125 offices, Miracle Method is the nation’s largest surface refinishing network and is committed to providing customers with a beautiful, durable and affordable green remodeling option. To see before and after pictures of the results of Miracle Method’s green remodeling process, visit www.miraclemethod.com.